Fills out fine lines and wrinkles and adds volume to the face. Can be used to plump up lips, fill in cheeks as well as many other areas of the face. All Cosmetic Injectable patients receive D’lumiere Esthetique skincare at 50% OFF RRP. Exfoliates and refreshes the skin. This is a deep cleansing facial treatment that also helps to hydrate the skin. We tailor each treatment to you skin type and skin concerns. Exfoliating Facial Treatment to help clear clogged and congested skin. Combining radio frequency and needling to ablate the skin and stimulate collagen production. It is an excellent anti-aging treatment and is also great for scarring and skin rejuvenation. Our Dermapen is a needling treatment that can go up to 2mm deep. It is excellent for scarring and rejuvenation. Our glycolic peels vary in strength and are a quick and effective treatment to help clear acne, congested skin and lighten pigmentation. Our Revlite laser and IPL machine reduce dark hair on the face and body. Using Infra red and controlled cooling to reduce fat pockets on the body. Dr Lanzer’s Medi Day Spa can provide patients with various skin treatments that will provide a younger and more radiant skin. If you wish to learn more about the available skin treatments, be sure to read our detailed overview on the most popular procedures below. The DermaSweep is a specific type of medical microdermabrasion. The treatment consists of a resurfacing procedure, which can effectively remove the upper layer of the skin. Through the removal of the outer skin layer, the cosmetic surgeon can enhance processes such as lymphatic drainage, oxygenation, and micro-circulation. Patients can obtain treatment with the DermaSweep for a variety of reasons; this includes using the procedure as an anti-ageing treatment. Treatment with the DermaSweep will thoroughly cleanse the pores, stimulate blood flow, and increase the production of collagen. Therefore, patients will leave the clinic with a rejuvenated appearance. A medical microdermabrasion is a treatment that can tackle several skin problems simultaneously; this since the treatment provides a deep skin cleanse. Patients will therefore obtain this treatment for its anti-ageing benefits as well as blemish removal. To get the desired result, some patients will require several microdermabrasion treatments; this often includes patients who want to reduce the appearance of acne scarring. Other patients only obtain microdermabrasion once, mainly to get a deep cleanse for a more glowing skin. The Venus Viva is a relatively new treatment focussed on facial rejuvenation. The treatment works through NFRFT (Nano Fractional Radio Frequency Technology), which enables the cosmetic surgeon to heat up the skin and subsequently stimulate the production of collagen. Much like the other skin treatments mentioned in this overview, the Venus Viva has various treatment goals. Treatment with the Venus Viva can be obtained for acne scarring, skin tightening, and even reducing the appearance of wrinkles. Therefore, there are many patients who could benefit from this treatment. The concept of the Dermapen is known by many already, since this is the cosmetic clinic version of skin needling. Skin needling was first introduced in cosmetic surgery clinics, but soon adaptations of this treatment became widely available in beauty stores. Of course, the skin needling treatments you can get from the beauty store are never as effective as treatment with the Dermapen. The Dermapen works with vibrating needles, which penetrate the skin on a deeper level; this is further combined with topical products to enhance the results. The Dr Lanzer Clinic provides various skin tightening treatments as well. One of them is Ultherapy, which is executed with the Ulthera device. Ultherapy takes anything between 30 minutes to an hour. The device is designed to stimulate the deeper layers of the skin; these are the layers of the skin a surgeon would treat during facelift surgery. 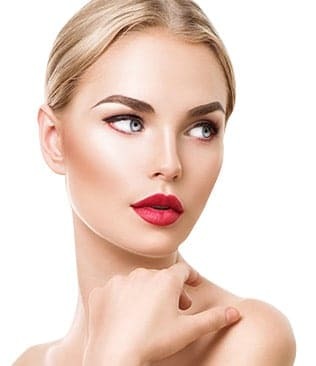 However, with the Ulthera, the cosmetic surgeon can stimulate the production of collagen on a much deeper level and provide a more rejuvenated appearance. Laser rejuvenation is one of the most popular treatments at the Dr Lanzer clinic. The treatment is obtained for facial rejuvenation in most cases; this since laser resurfacing can improve skin texture and reduce the appearance of fine lines and wrinkles. The cosmetic surgeon can use various lasers to execute laser rejuvenation. The type of laser used during treatment will be subject to skin tone of the patient and the problems they wish to address. As a result, laser resurfacing can be executed with lasers such as the Aura Revlite and Carbon Dioxide Laser. What Is The Glycolic Acid Peel? 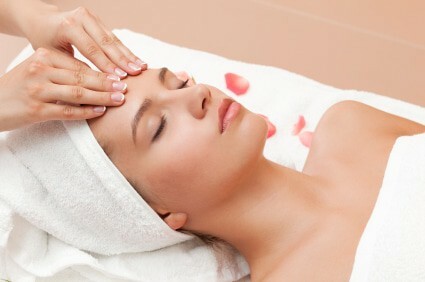 A glycolic acid peel, also known under the name chemical peel, is a widely known skincare treatment. The glycolic acid peel is known to tackle problems such as sun damage, pigmentation, fine lines, wrinkles, and even skin texture problems. During a treatment with a glycolic acid peel, the cosmetic surgeon will remove the top layers of the skin. By removing those layers, the body’s production of collagen is stimulated, leaving the patient with a rejuvenated appearance. What Other Treatments Are Available At Dr Lanzer’s Medi Day Spa? We already mentioned a lot of skin treatments available at our Medi Day Spa, but there are many others to take advantage of; this does not solely include skin treatments, but also body treatments and cosmetic injectables. When you take a look at the non-surgical treatments available at our Medi Day Spa, you will find a detailed information page for each treatment listed there. If you wish to learn more about one of these treatments, please click on the treatment name for more info. Do you have a question about one of the treatments mentioned here today? Feel free to contact our friendly team of receptionists by telephone or website enquiry form.